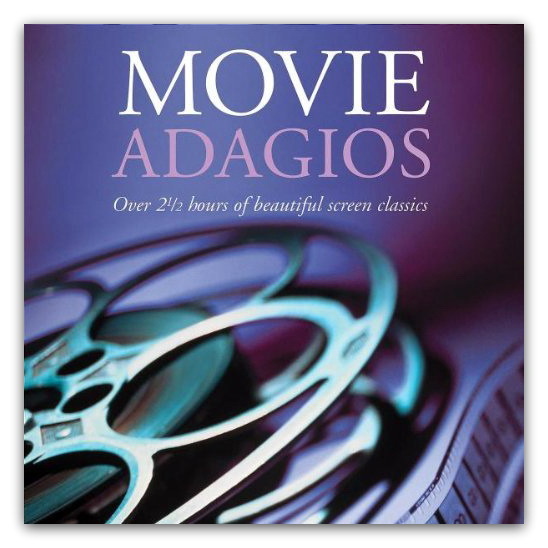 Movie Adagios is a two-CD set from the New Classical 96.3 FM that brings together some of the famous classical melodies borrowed to great effect in movies from the Silver Screen days of yesteryear to the big-screen epics of today. From Clair de Lune by Debussy to the Mozart piano concerto made famous in the film Elvira Madigan, this set is sure to delight classical music lovers and film buffs alike. My personal favourite was Puccini’s ‘O mio babbino caro’ from his opera Gianni Schicchi from the film ‘A Room with a View’. This piece conjures up romantic pictures of Florence in your mind. It also makes you think of the sultry hot days of summer. I remember that sensational scene in the film when Helena Bonham-Carter has the kiss with Julian Sands in the countryside. For that scene another Puccini aria was used, from his opera, La Rondine so very effectively. Alas that aria is not included in this compilation. I also liked John Barry’s John Dunbar theme from the film Dances with Wolves starring Kevin Costner. The music reminds you of the epic film in which man comes to one with nature and animals. Not being a classical music lover, some of the pieces I did find a bit heavy, although, generally, I liked both CDs – especially CD 1. On CD 2, I enjoyed the Tchaikovsky Swan Lake music from the film Billy Elliot used in the scene at the end of the film in which Billy dances the lead part and his father watches him proudly. I also enjoyed the extremely difficult and amazing Rachmaninov Prelude in C sharp minor from Shine and the Offenbach’s Barcarolle from Life is Beautiful. Altogether, this double CD was pleasurable to listen to and a nostalgic reminder of the many films featured in it.